It looks like AMPAS (Academy Of Motion Picture Arts & Science) have officially selected a host for the 2014 Oscars. Sorry to all you Muppet fans, it’s not going to be them. Nor is it going to be Tina and Amy. So who is it going to be? 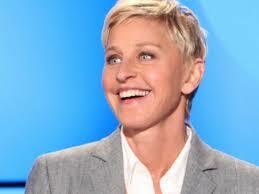 The academy is bringing back the very charming and very talented Ellen DeGenres! I am very, very excited about this choice. DeGenres previously hosted the Oscars back in 2006, (opening monologue can be seen here) and did a very good job. She didn’t talk about the nominated films per se, but more about what it means to be nominated.